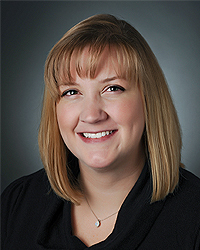 Misty Dickerson, DO is a highly skilled obstetrician and gynecologist at Kettering Physician Network Women’s Health with offices located in Beavercreek, Centerville and Huber Heights. She has more than 7 years of experience in obstetrics and gynecology. Dr. Dickerson enjoys caring for patients through all stages of life, employing both medical and surgical treatments to aid in health. She delights in lifelong patient relationships, and focuses on listening to what her patients have to say. She says, "I want my patients to feel I am an advocate for their health." Women’s healthcare throughout all stages of life from teen years, reproductive age, and menopause.